The first sheep were landed on subantarctic Campbell Island (over 600 kilometres south of the New Zealand mainland) in 1895 after a grazing lease had been taken up. (See » New Zealand for the location of Campbell Island.) Two thousand more were introduced in 1901, and a further thousand in 1902. Both of the first introductions are known to have been Merinos, but the last was of an unknown breed – at least some must have been longwools such as Lincolns or Leicesters. 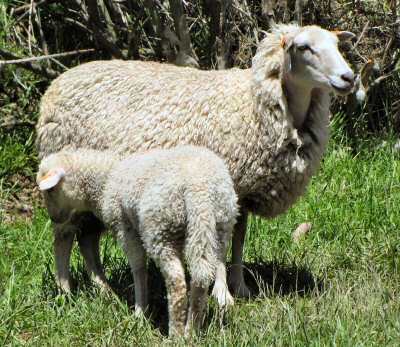 As a result, the Campbell Island sheep are one of the few feral breeds known to have anything other than Merino blood; they range from quarter- to half-bred Merino-longwool crosses. Campbell Island sheep do not have the high proportion of coloured animals that occur in some feral flocks. 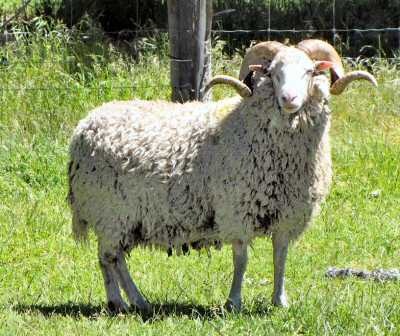 Descendants of the ten sheep rescued were kept on Government farms, where they were maintained as a purebred flock until mid-2005, when they transferred to private ownership – this flock is still in existence in North Canterbury. Some breeding up (see » Grading Up Programmes) was undertaken at Invercargill from rams released from the purebred flock, however this flock has died out. » The Feral Sheep of Campbell Island.